BlogHome News Advocacy, International Advocacy #TimeIsNow : Let’s Claim our Space! The theme of this year’s International Women’s Day is “Time is now: Rural and urban activists transforming women’s lives”. The theme echoes that of the Commission on the Status of Women (CSW) where discussions will focus on “Challenges and opportunities in achieving gender equality and the empowerment of rural women and girls”. CSW is the foremost annual inter-governmental meeting tasked with improving the lives of women through advancing their rights. Despite the rampant and growing inequality across the globe, and its devastating impact on the lives of rural women, many state representatives will once again use the CSW space for posturing and obfuscation instead of engaging in a constructive dialogue about how to improve the lives of women. The institutions that hold power (governments, justice systems, regional governance systems among others ) and those that should be appointed through democratic processes are increasingly captured by corporate interests and fundamentalisms. Far from addressing the root of the problem ‒ neocolonialism, capitalism and patriarchy ‒ our leaders are using conflicts and instability to further curtail freedoms. These same institutions have no interest in increasing women’s participation in the decisions that are made about us. 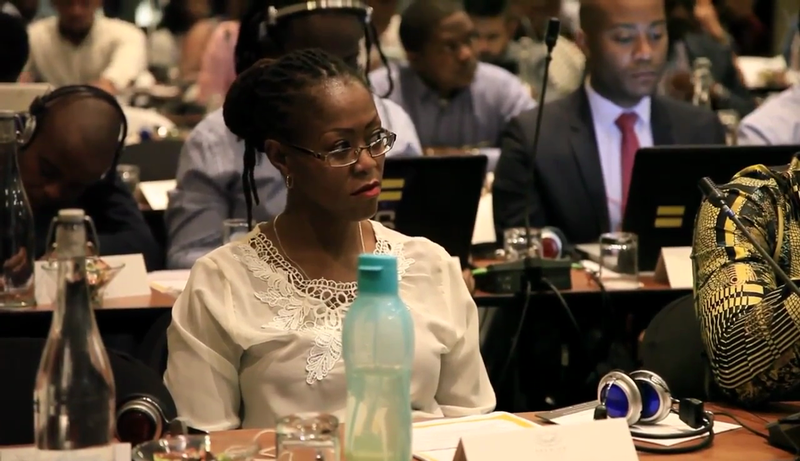 Our ongoing struggle to maintain our observer status at the African Commission on Human and Peoples’ Rights (ACHPR), is an illustration of the threats that civil society, and in particular, women’s rights and sexual rights activists face in Africa. The recent decision of the African Union Executive Council requesting the ACHPR to revoke CAL’s observer status, is a demonstration of the clear refusal of our representatives to consider women’s rights and to view sexual rights as human rights. The ‘shrinking’ of civil society space has a direct impact on the work of Women Human Rights Defenders all around the continent. 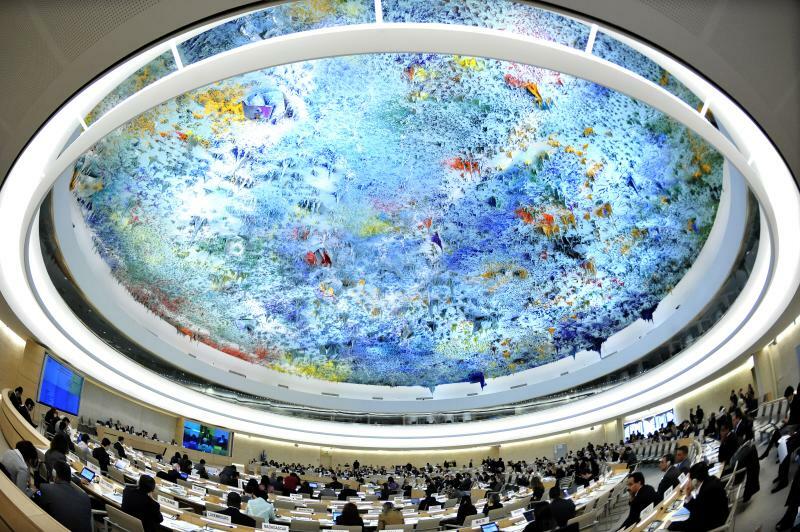 As we prepare to celebrate the 30th anniversary of the adoption of the Declaration on Human Rights Defenders, we must acknowledge the often hostile and violent environment in which WHRDs undertake their work in Africa and other regions of the world. Despite the context and direct attacks, WHRDs continue to expose and confront the cultural, social, corporate and religious norms that are at the root of our oppression. The Coalition of African Lesbians invites you to join us in occupying online spaces on 8th March 2018 between 12h00 – 15h00 EAST (East Africa Time) to claim back shrinking online and civil society space for women. 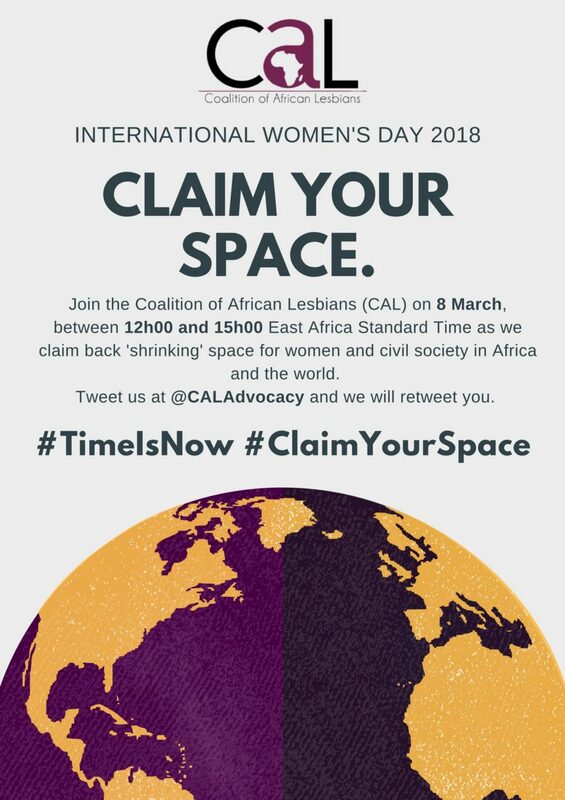 Retweet our posters using the hashtag #ClaimYourSpace, tag us (@CALAdvocacy) and share with us how the space for civil society is ‘shrinking’ in your community, country and place of advocacy. 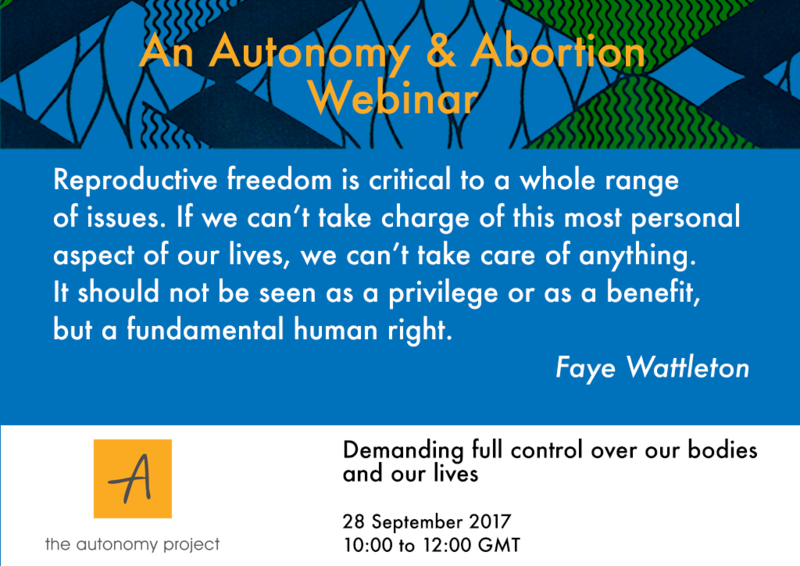 Join us in claiming back our space by raising the voice, presence, ideas and experiences of women online.